The career of Chips Hodgkins 'was' the early history of Wells Fargo. During the initial years of the California Gold Rush, he worked for its predecessors, and when those small local express firms were absorbed by Wells Fargo, he served the new company faithfully for decades. For forty years, from 1851 to 1891, Chips was the best-known express messenger on the West Coast, transporting tens of millions of dollars in gold, first by horseback, then by stagecoach, and finally by steamship and railroad. He was so scrupulously honest that it was commonly said of him, "No man in the United States ever actually handled more money than he did, but not a nickel of it ever stuck to his fingers." He was born Pilsbury Hodgkins in Nobleboro, Maine, on February 17, 1825. His parents died during his boyhood, and he was left in the charge of a tyrannical elder brother. At age sixteen, he ran away from home and became apprenticed to a Boston shipwright. Hodgkins was a rowdy youth, and he spent his spare time drinking, smoking, and carousing. One night, he had an epiphany, as he recalled: "I . . . resolved never to use tobacco or intoxicating liquors again." He kept that vow for the rest of his life. In 1848, Hodgkins was swindled out of his life's savings, and that winter news reached Boston of the discovery of gold in California. He could not afford the passage, but in the spring of 1849, he found a company of gold seekers who had bought a sailing vessel and were in need of a ship's carpenter. He worked his passage around Cape Horn to the West Coast. Because carpenters were always referred to as "Chips," he acquired his lifelong nickname. After a sea journey of five and a half months, his ship arrived in San Francisco on September 16, 1849. Chips spent his first two years in California digging for gold in what are now Tuolumne and Stanislaus counties, known as the Southern Mines. He lived in gold camps of log cabins and tents perched precariously on the steep slopes of ravines and rivers. Society was primitive and comforts few. Gold was the common currency; miners carried gold dust in small buckskin pouches called "pokes." Food and supplies were scarce and expensive. Women were even scarcer, and miners were forced, many for the first times in their lives, to perform all domestic chores for themselves—cooking, washing, sewing, and housekeeping. Even the names of the gold camps reflected the forty-niners' rough, masculine culture: Poker Flat, Drunkard's Bar, Whiskey Gulch, Hangtown, Murderer's Bar, Dead Shot Flat, Git Up and Git, Hell's Delight, Dead Man's Bar, Garrote, Robber's Roost, Wild Yankee, Rough and Ready, Brandy Flat, and, inevitably, Whorehouse Gulch. Like most gold hunters, Chips never struck pay dirt and sought other work. 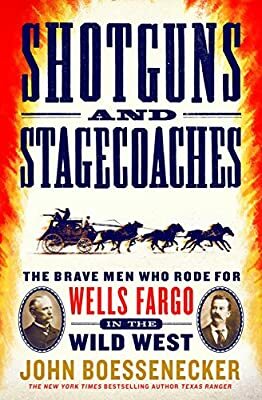 On March 1, 1851, he started as a mounted messenger for Reynolds & Co. Express, which ran stagecoaches and express shipments throughout the Southern Mines. There was little or no U.S. mail delivery in the mining region, so private express companies sprang up to fill the void. Hodgkins made his headquarters in the company's office in the important mining camp of Sonora. Several times a month, the East Coast mail arrived, brought by river steamboat from San Francisco to Stockton, and then overland by stage to Sonora. Chips would stuff his saddlebags with letters, packages, and newspapers and ride out of town. His route, by horse or mule, took six to eight days, and passed through the rough mining camps of Calaveras, Tuolumne, Merced, and Mariposa counties. He delivered letters and papers to homesick gold diggers, and picked up packets of gold sent by the forty-niners to their families back home. Everything he and his rival messengers delivered was referred to as "express." Chips became extremely popular among the gold hunters, for he was their sole connection to their friends and families back in the civilized world. He became easily identified, for as he trotted into each gold camp on his mule, Polly, the miners would yell, "Here comes Chips!" They would rush forward and surround him, eager for mail and news from home. During the first two years of the Gold Rush, crime was relatively rare. But as many miners failed to strike it rich, or found panning and shoveling too arduous, some of them turned to an easier way to make their fortune. Thus began a rapid rise of banditry and violence, which, during the 1850s, resulted in the highest recorded homicide rates in American history. But given the initial low crime rates of the Gold Rush, Chips, during his earliest months as a messenger, did not even bother to carry a gun. That changed one day in June 1851. He was delivering express on horseback from Tuttletown to Soldier's Gulch in Tuolumne County when he spotted a Mexican step out of a miner's cabin and mount a fine horse. The man rode leisurely toward Hodgkins, but as soon as he passed by, he spurred his horse into a gallop and thundered out of sight. Highway robberies were becoming increasingly common, and Chips feared that the stranger might be a bandit. He dismounted, peered into the cabin, and found that it had been ransacked. He rode up the trail to a large open pit where a group of miners were digging and told them what he had seen. They exclaimed that it was their cabin, and they all rushed back and found that a pistol, pocket watch, and money had been stolen. Chips mounted up and raced toward Tuttletown. He soon spotted the Mexican on the road, far ahead of him. As Chips recalled years later, "I followed him and went to a store where I was acquainted and could see him sitting on his horse in front of a Mexican store. I tried to borrow a pistol or shotgun to go for him, but could not get anything. About that time the Mexican looked up and saw me and left suddenly. I followed but lost sight of him, and went on and finished my trip."